A bachelor degree with a 2:1 (hons) in any subject. Full entry requirements. Our AMBA-accredited masters in management provides you with broad-ranging management knowledge and skills alongside critical insight into how organisations operate. Designed to give a comprehensive introduction to all the major management disciplines, this course is ideal for anyone with a non-business background. You’ll develop essential skills including critical thinking, problem-solving and collaborative working. You’ll gain the hands-on practical experience that employers are looking for through real-world business projects and case studies. We create opportunities for you to build applied skills and insight, and offer enriching experiences such as talks from industry speakers and workshops on topics such as leadership. The course attracts students from a range of cultural and academic backgrounds, creating a stimulating social and learning environment. This provides an important multicultural experience for a career where business is global. Teaching on the course is informed by our research knowledge in a range of management areas, giving you access to the latest business trends and real-world challenges as they unfold. You’ll benefit from the cutting-edge research being conducted in research centres such as the Centre for Decision Research, the Workplace Behaviour Research Centre, the Centre for Operations and Supply Chain Research, the Centre for Enterprise and Entrepreneurship Studies, and the Centre for Technology Innovation and Engagement. 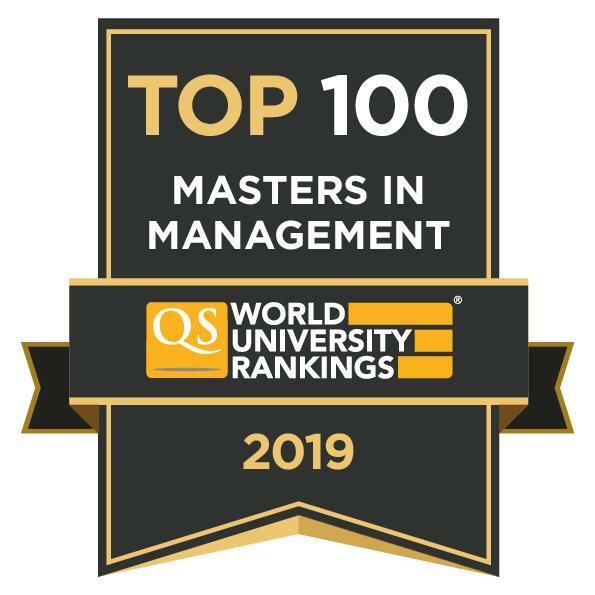 Our MSc Management is ranked 66th globally and 12th in the UK by QS (QS World University Rankings: Masters in Management 2019), and 36th globally and top 10 in the UK by The Economist (Economist Which MBA? Masters in Management 2017). This masters is accredited by the Association of MBAs (AMBA), the international impartial authority on postgraduate business education, which represents the global standard for the world’s best business programmes. Find out more about AMBA accreditation. You’ll study a range of core modules that build the business knowledge and skills you’ll need to succeed as a manager. You’ll be introduced to topics such as effective decision making, operations and supply chain management, as well as entrepreneurship and the process of starting a new business. Then you’ll examine approaches to strategic management and gain a broad understanding of marketing principles and organisational behaviour. Taken over both semesters, the Management in Practice module forms an important part of the course. Designed to equip you with the professional skills you need to be an effective manager, you’ll cover team working, leadership, self-development and employability. You’ll draw on input from a variety of sources including the Business School’s corporate partners. There will also be opportunities to gain specialist knowledge in areas that suit your career plans and interests. You’ll choose one optional module, allowing you to focus on a topic of your choice. In addition, a module in research design and analysis will prepare you to complete your dissertation in the final semester. This is an independent research project on a topic of your choice, which can be tailored to meet your individual career goals. You'll also choose one optional module. We use a variety of teaching and learning methods to help you make the most of your studies. These will include lectures, seminars, workshops, online learning and tutorials. You’ll also have chances to enhance your learning through panel discussions and workshops with our industry partners and guest speakers. Applicants who have not yet completed an approved English language test may apply for a Masters course prior to taking a test. This course is valued by employers in both the public and private sectors. Graduates are equipped with broad-based knowledge and skills and are able to offer informed contributions to a wide range of roles in business. From corporate managers in all sectors to entrepreneurs, consultants and managers in the public sector. Our recent graduates work in a range of organisations including Aldi, PwC, Marks & Spencer, IBM and Goldman Sachs. This masters also provides a sound basis for postgraduate research. We help you to achieve your career ambitions by providing professional development support as part of the course. You benefit from our Professional Development Tutor, who will help you to develop the professional skills you will need to start a successful career, and provide advice and guidance on the best way to evidence your skills to prospective employers. I love Leeds because it's a student city, where you are surrounded by like-minded people who get involved, and there are lots of opportunities for broadening your horizons. The best part of my studies has been getting to hear from different guest speakers... Coming to the University of Leeds has broadened my perspective, [I've gained] a global overview on business. It is well structured and well taught... including the important topics for future managers. The world needs managers who think unconventionally and enable positive change...this impacted me a lot. Leeds University Business School is a place where students grow personally and professionally, creating new opportunities and expanding their networks. The course has inspired me so much, especially the seminars. We had the opportunity to debate with students from different countries... this will play a crucial role in my life. Develop your understanding of entrepreneurship on a global scale, gaining the skills to run your own business. Master the strategies and best management practices to enable you to implement innovation initiatives.